Download speeds and picture and voice quality are what consumers care most about: this creates a seemingly endless explosion of demand for network capacity in broadband, satellite, telco and security networks. At the same time, new protocols like MoCA and DOCSIS 3.1 require a better performance than was previously necessary. Networking of our homes and appliances, 5G service, 1Gps and other evolutions ensure this demand for a smart, connected world will continue. The Internet is continuing to evolve along multiple dimensions: architecture, performance, and services. Increased demand and better performance means service providers/operators need to be constantly looking for ways to improve. PPC is Prepared for Tomorrow – Because the Future Demands it! PPC is a global leader in connective technology—we can keep you up to speed. We use the latest techniques to bring new and enhanced products to market fast. Our state-of-the-art test laboratory is among the best in the business - and we hold more patents in connector technology than any other company in the world. PPC is proud of its worldwide reputation for technical leadership. Seeking out network issues or recurring problems in network components as technology advances ensures that our solutions exceed our customers' and the industry's expectations for value, quality and reliability. PPC design teams have developed many industry firsts including pushable fiber, universal crimp and compression connectors, continuity connectors, integrated weather sealing connectors, and many other innovations. PPC designed the first locking HDMI Cable for the retail and CEDIA markets as well as zero and low compression force F connectors. As a Belden brand, PPC also accesses Belden's powerful position within the signal transmission solutions space to offer a very unique end-to-end solution to its customers. 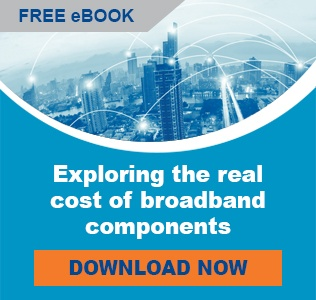 Labor typically accounts for 80 percent of the cost of an FTTP deployment and PPC has created an innovative solution targeted to reduce the majority of this cost. We invented the technology behind pushable fiber and our Miniflex® fiber optic cable is now regarded as the premier pushable fiber product globally. PPC is headquartered in East Syracuse, NY with additional state-of-the-art manufacturing facilities in the U.K., Mexico, Denmark, St. Kitts and China. PPC Quality Policy: "We are dedicated to Continuous Improvement of our people, processes, products, and services, always determined to exceed our customers' expectations."